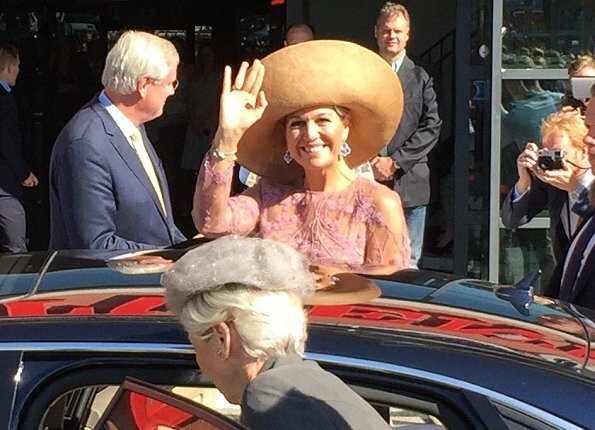 On September 27, 2018, Queen Maxima of The Netherlands attended the opening of the Week Against Loneliness during National Loneliness Congress (Nationaal Eenzaamheid Congres) held at Enschede, Grolsch Veste Congress Center. The congress is held in cooperation with Oranje Fonds. 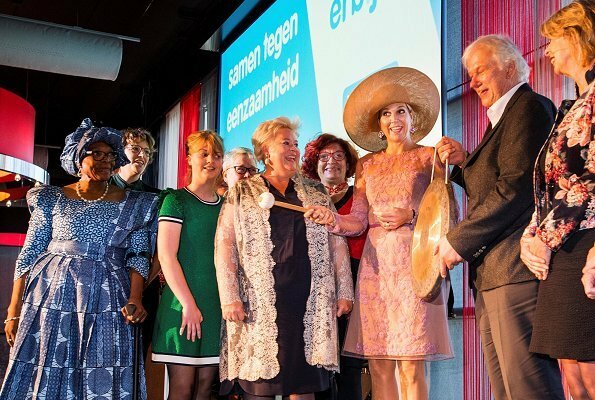 Every year, Oranje Fonds supports thousands of projects that aims to make people less alone. Oranje Fonds especially attaches importance to friend projects such as Humanitas Tandem. Week against Loneliness will take place between the dates of September 27 and October 6. Yes, yes, yes...looking great again, jetted back home from New York and back to work again within 12 hrs! We Dutch think THAT is her force....not her hair. No question what's more important, is it? I don't think anyone has questioned her work ethic or dedication to her role - she does an amazing job. But this is principally a fashion blog so people come here to comment on that. And it is a bit odd that someone who clearly has a clear style and obviously enjoys clothes can't see that her hair is in shocking condition - I honestly think she mustn't see it. 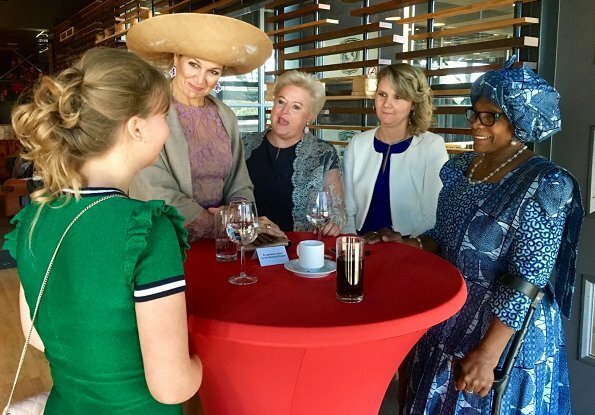 Mary of Denmark and Victoria of Sweden did the same, jetting back from New York and being in attendance for some function or other the next day. Victoria looked particularly good at the 2018 concert the day after the came back, and without all the hoopla. She is the women who born with hat :)Hat especially big makes her stylish,regal and stunning.Also dress and earrings are so pretty. Hat is way too big for anyone unless you are at the beach. Like the dress. Wish we could see her shoes. 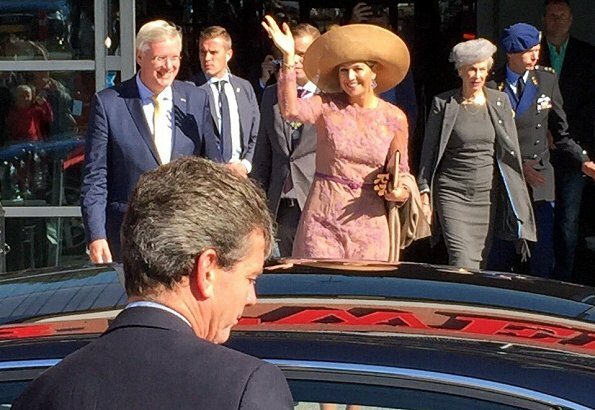 She looks fabulous - she can really carry off the larger hats. Love the dress and jewellery. Well is she not again overdressed for that event? It was attendance to a congress, not the opening of the new parliamentary season. Particularly the hat! and the dress as well. 2. People would be dissapointed, if the Queen wears ordinary clothes. I think so too. 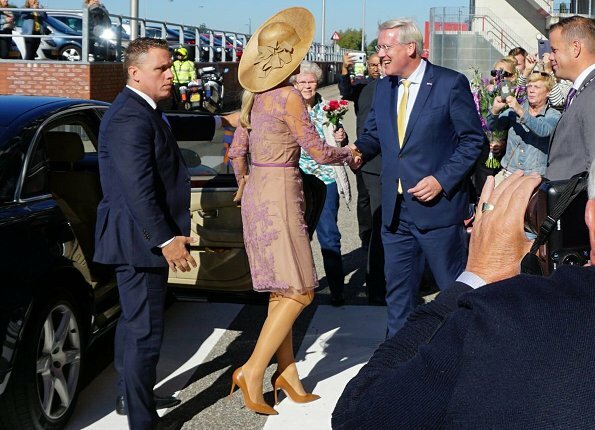 The dress is beautiful, but the sheer sleeves and bodice seem to be a better choice for something a little more formal; the hat too is totally off with this particular dress. Mary; yes, she is doing it too much over this time. Take that big hat away and she would have looked good but not ridiculous. I like the dress and other accessories. 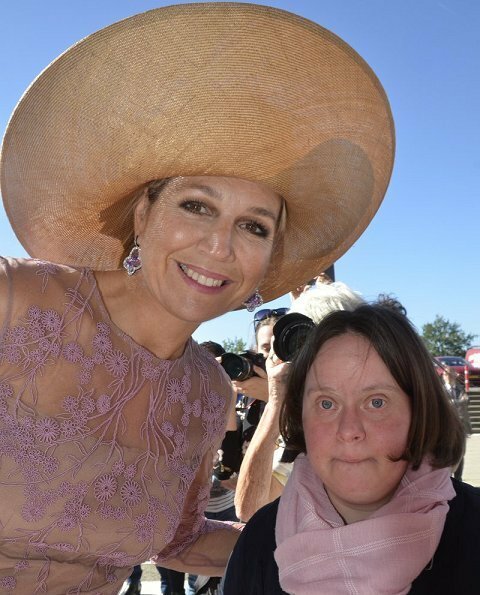 Love her, her hats and her beautiful smile!!! I think she looks ridiculous. This is a cocktail dress, not suited for a congress. The hat is just too big, wear it to the beach dear queen. The jewellery is not suited for an event like this either. The hair (for once) is ok, albeit false. Her smile is genuine and that's what counts. We're accustomed to these Carmen Miranda performances in the meanwhile. Too bad herover the top dresscode and hopeless coiffure blurs all the the good work she's doing. She is utterly ridiculous in that monstrous hat. She looks like she's on show, at least in the first picture. The bigger the hat the less you see her hair. Wow that is a big hat! It does not go with the feel of the dress, either in size or material. Her dress is not a day dress, and her jewelry is too much. Sorry that hat is too big!! ET would call it "Home"
Mooi kleed, is mooi voor Maxima met haar prefekt figuur. 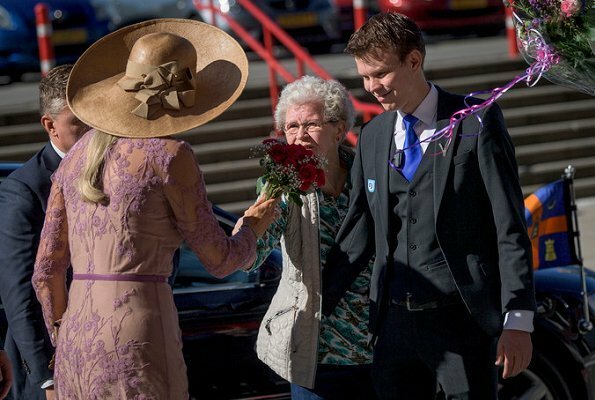 Onze koningin Mathilde en koning Filip waren ook direkt na retour uit NY aan het werk, niks jetlag tonen.